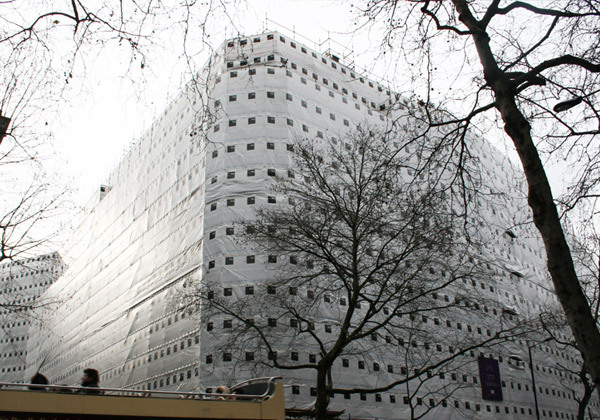 TRAD Scaffolding was asked to provided the access for window and stonework maintenance on one of the most famous buildings in London, during development of Category A offices. The project at Bush House on The Strand, the former headquarters of the BBC, focuses on a series of four buildings within The Aldwych, Melbourne Place and The Strand – comprising the North East Wing, South East Wing, Melbourne House and Centre Block. 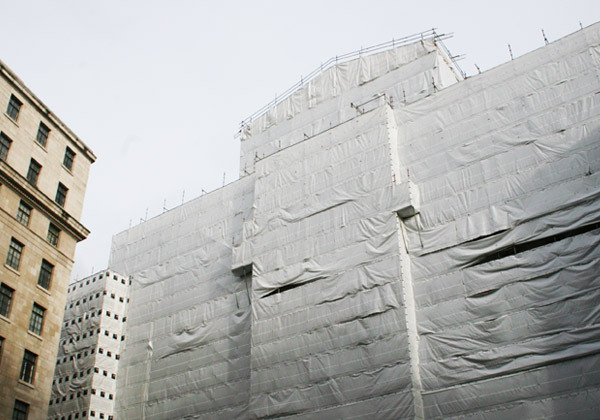 The installation features scaffolding access built in two-metre fully decked scaffold lifts with full plastic sheeting throughout to optimise both safety and appearance. 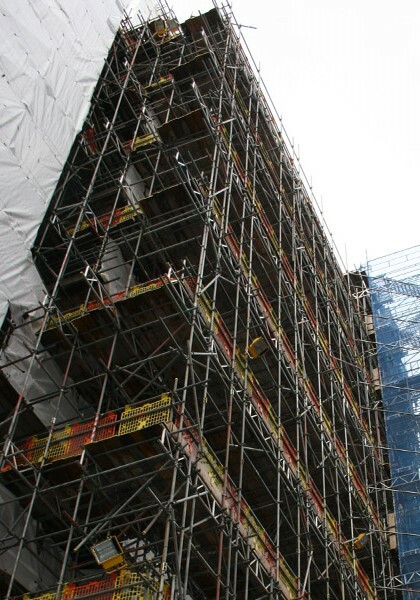 TRAD were appointed by ISG Fitout to provide the scaffolding access with just a 14 week build period for the entire installation. Importantly, the design had to provide clear access on each lift to minimise obstructions during window replacement and refurbishment, and also to allow as clear access as possible for the stonework specialists. 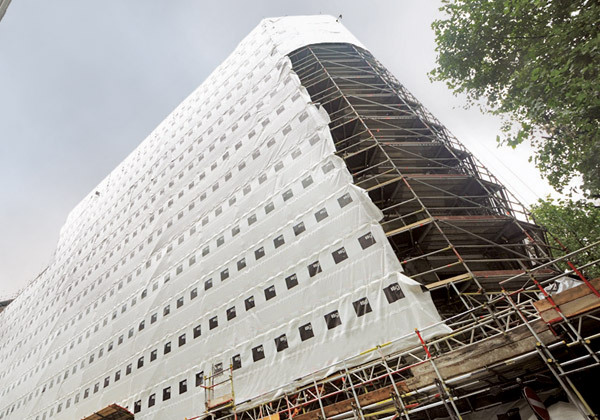 We therefore opted for a system scaffold which, significantly, enabled the work to be undertaken at, we estimate, half the time of conventional tube and fitting – the latter was only used at ground level and connected easily to the modular scaffold structure. Key features of both the North East and South East Wings of the building are radius layouts which had to be matched by the scaffold design. This was accommodated by installing the scaffolding as separate sections with bespoke chamfered ply fillets used as part of the connection system. All the scaffolding elements were raised by hoists. We utilised 2.5 metre bays throughout, all fully decked to include infill sections to provide a flush finish. This includes the Centre Block with our advanced scaffold design a marked visual contrast to the columns and statues that are a feature of the building fascia.